From the award winning composer Martin Phipps, best known for his BBC period dramas North and South, Elizabeth - The Virgin Queen, and films Harry Brown and Endgame, comes a dark orchestral score to director Rowan Joffe’s bold adaptation of Graham Greene’s novel. This remarkable score is perhaps best described as a film noir flavoured large orchestral score, interspersed with gritty 60s jazz drumming. The vocals are performed by The Brighton Youth Festival Choir and the BBC singers. The score also features the beautiful Richard Hawley ballad, written and performed by him, ‘There’s A Storm A’Comin’, which plays over the end credits. 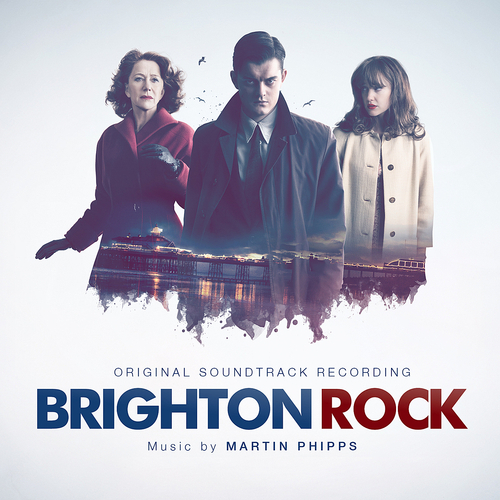 "A splendidly bombastic score from Martin Phipps adds to a sense of operatic majesty"
"Phipps has created a fantastic, enveloping score, suitably dark and threatening"
Instead of plastering his Graham Greene adap with vintage hits, director Rowan Joffe opts for an orchestral noir score with religious overtones. The result is a moody listen, with choir singers bringing an operatic edge to Phipps’ darkly melodic compositions and jazz inflections tipping the wink to the ‘60s setting. Richard Hawley rounds off with ‘There’s A Storm A’Comin’, a ballad that begins like a love song then builds with electric guitars. If only the movie had been as good.